Reading from chapter to chapter, my emotions were so real, so raw. One minute I was wishing I could take the Queen Snow White into a loving embrace to comfort her and then with the turn of a page, I was wanting to shake her to make her see what she was missing. There were times I even had to keep myself from shouting at whichever device I was reading from. 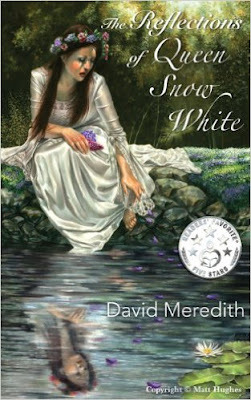 With fairy tale retellings being quite popular here lately, I would definitely recommend adding this one to your TBR (to be read) pile. I'm rewarding this book a rating of 4.5 hot lips!